It’s a historic day for Reliance today as Mukesh Ambani launched its most ambitious project Reliance Jio Services. Ambani is betting at least $20 billion on building, from scratch, a national digital empire stretching from phones and hardware to home entertainment and custom-made apps. 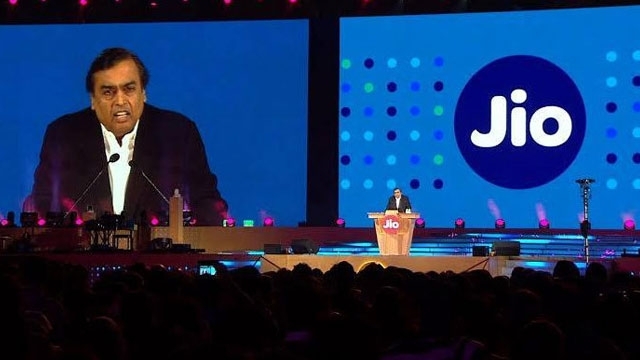 Two-thirds of India’s 1.3 billion populations are not online, and Jio hopes to capture 100 million users – nearly half of India’s current Smartphone users – within a year of launch. There were numerous take away from Reliance AGM held at Mumbai today however as a trader we also learn some big lessons which can shape our success in future. If we also want to make huge happiness announcements, Like Mr. Ambani made today, making our life worthy like owning our beautiful house, dream luxury car, family world tour, daughter’s grand wedding, children’s foreign education, early retirement life etc, we have a lot to learn. Ambani also made a very noticeable statement that with the help of digitization of Indian villages, as planned by the ambitious project of Prime Minister Narendra Modi, in next 20 years we collectively as a human being will achieve more than what we could achieve in last 300 years. Don’t trade for the sake of doing it: You must be aware that this project was, first, announced to be launched almost 2 and ½ years before however they never wanted to pressurize themselves just for the sake of launch announcement made. As a trader, understand this very important point; don’t just take an entry in the market, for the sake of doing it. Take time, when you are fully convinced following your methodology only then make a move. Have patience, it certainly pays big: Mukesh Ambani is so much capable that he could have hired the best team from anywhere in the world and could have launched this project quiet earlier than other telecom players in India however he understands that having patience especially for a transformational change helps to achieve success. You as a retail trader should also understand the fact that doesn’t try making instant gain. Have patience in the market and nobody can stop your success. Expecting instant result will not help you to get big returns like how big Jio services is. Don’t get disturbed by Noise: Airtel became the first company to launch 4G services in India in 2012 and after that Vodafone, Idea and other players also came up with their 4G plans. People started speculating a lot – what Reliance will do now, how they will make it the biggest network, etc however Jio Team did not focus on it and now look shares of all other network providers are down. Noises are always going to exist in business world. In fact these noises make business and Finance industry most exciting field to be, it does not mean you will lose your focus and would start concluding your decisions based on them. You should be convinced about your study and researches. Noises can be right sometimes, but staying away from them will help you to come up with flying colors. Set your goal, plan, review and re-plan: Mukesh Ambani comes up with a goal of creating the biggest network in India and started working for the same as per their strategy. In between they kept testing where it was not up to the mark so they re-planned and worked again keeping their goal in mind and finally the product is in front of us and is being talked about in the entire business world. Once you set your goal and start working on it, keep reviewing it periodically. Market is always right so if your strategy is not producing desired result, you should re-work on it. Study more reports and learn about the market so that you can develop a better understanding about the market Trends. In case you are not able to do it, take services of a company you can trust. Apart from these learning, you also have the cheapest Data available now for you so take advantage of this revolution, learn more and more good material using internet and change your life. With the increasing depth of internet in rural India and with government’s project like Skill India, Make in India, GST, the Indian market is going to see surprising positive changes. Start working on your wealth as early as possible now and be a part of changing India. If one does not take sincere step today, he will become irrelevant to this fast paced economy and I don’t think any responsible person like you who have a dream in his eyes, to help his family to enjoy all the basic luxuries of life, can afford to sit and hope for an automated change. Jio means to Live. You life is precious and it’s your fundamental right to lead a happy life. Trust me, leading a happy life where you have enough money to support the basic luxuries of your family and can have time to spend with your kids and friends, don’t require huge money, it just needs you to be Financially independent. So people, Jio jee bhar ke (Live to the fullest)!